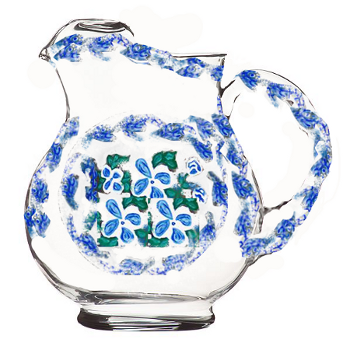 Weddings are in the air and a wonderful wedding gift would be a hand painted pitcher in this lovely blue and white savoy design. 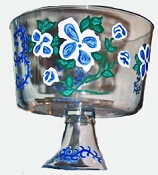 This beautiful blue and white pattern has several lovely pieces to choose from dinnerware, serveware and wine glasses not to mention trifle bowls and cheese domes. 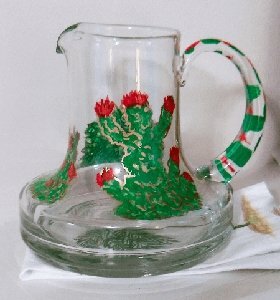 Painted pitchers can be used for so many uses from pouring ice tea, milk, orange juice, lemonade to your favorite concoctions of wine sangria and more. 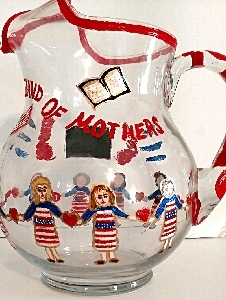 Why not have some hand painted glasses painted to match?